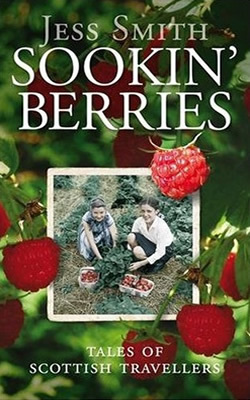 Introducing "Sookin' Berries", her collection of stories for younger readers, Jess Smith writes: 'I have been a gatherer of tales for most of my life, and I suppose it all began when I was a wee girl. I shared a home with parents, seven sisters and a shaggy dog. It could be said that I lived a different sort of life from most other children, because 'home' was an old blue bus. We were known as tinkers or travellers, descendants of those who have wandered the highways and by ways of Scotland for two thousand years'. Acclaimed for her autobiographical trilogy, "Jessie's Journey", Jess is on a mission to pass on the stories she heard as a girl to the young readers of today. 'If you are aged from around 10 going on 100, then you're a fine age to read, enjoy and hopefully remember forever these ancient oral tales of Scotland's travelling people. What I'd like you to do in this book is to come with me on the road; back to those days when it was time to pack up and get going, and to take the way of our ancestors. I want you to imagine that, as my friend, you are by the campfire listening to the magical Scottish stories that have been handed down through generations of travellers'.